September 27, 2017 - Like us now! 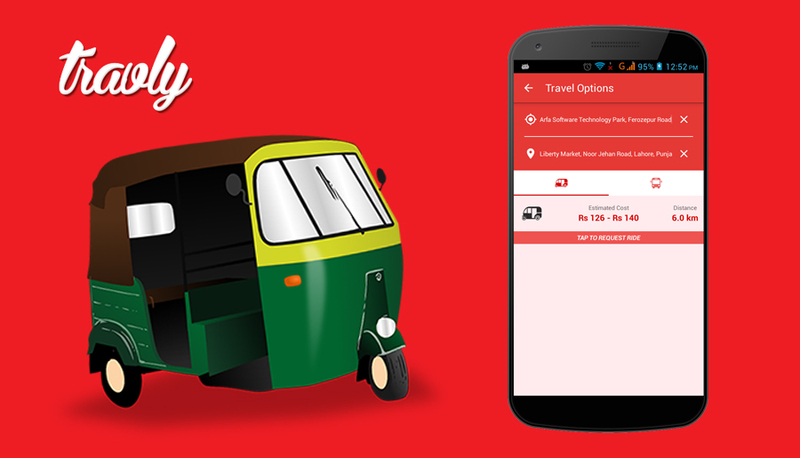 Venture-funded rickshaw-hailing service Travly has shut down. Its cofounders have taken full time jobs, according to our sources. Humayun Mazhar said that he still believes there is an immense opportunity in the ride-hailing service platforms despite the presence of Careem and Uber rickshaw services. He also added that while Travly’s chapter is closed, he is exploring investment into similar ride-hailing services which despite lack of capital and limited resources are doing much better in insta-rides and monthly rides. Shahmir believes every day is a new day and he has vowed to take the learning of this venture forward. In future, he hopes to continue the effort and launch a new venture. Travly started as a bus-booking service back in 2014 and was incubated at Plan9 for the same purpose. The startup was later enrolled at the PlanX accelerator as well where things took a turn when. Faisal Sherjan, media industry veteran, took the startup under his wings. With Faisal onboard, Travly announced a pivot and changed its business model to a rickshaw ride-hailing service inspired from the international services like Uber, Lyft etc. On the basis of the same pivot, the startup acquired a venture capital of $200,000 from CresVentures. The announcement was made at an exclusive event where media and technology industry veterans witnessed the agreement signing. Right after Travly’s investment, two of its founders also departed, one for higher studies and the other one joined the competitor, Careem. Travly also announced the Rickshaw Rani service to encourage women to take up the service and earn a living for themselves. It emerged as a fun cool platform on social media owing to its habitual jibes on the competitors but the startup couldn’t fare well in the execution department. According to some sources, Travly was booking 100 rides on a typical day while its competitors, working in the same rickshaw domain, were booking 1000 rides despite limited resources. The startup traveled to numerous international destinations for pitching competitions and won a plenty of them too. But despite access to capital and a bright team “it couldn’t meet the conservative projections”, said Humayun Mazhar. Update: Humayun Mazhar’s quote updated with further elaboration on investment in the technology stack. The story now includes the response from Travly’s founder, Shahmir Khan.